“We met while we were studying at the National Technical University of Athens. He proposed with the most beautiful engagement ring! The ring with which he proposed, and my wedding band are visible proofs our love and I always wear them”, the bride shared with us. 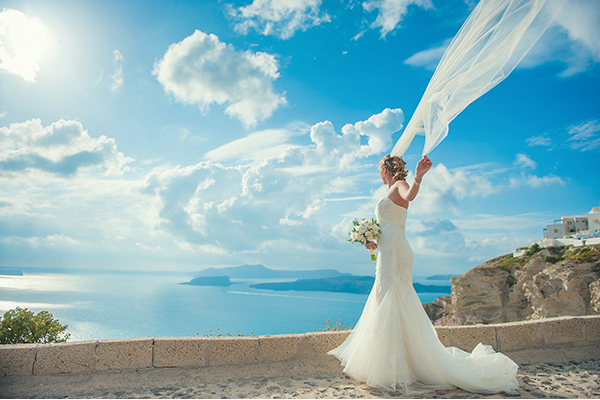 “The ceremony took place at the Metropolitan church of Ypapanti in Fira, Santorini”. 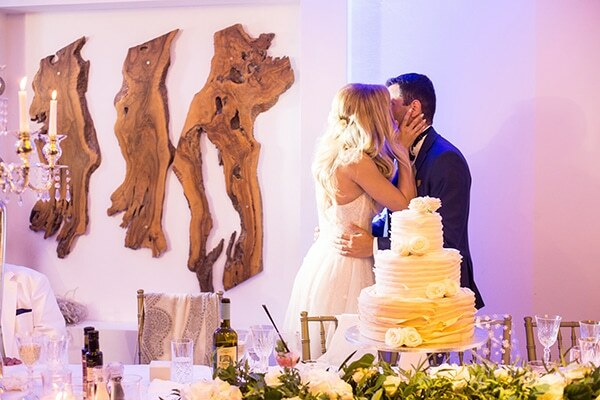 “I wanted our wedding style to be timeless and chic. I found inspiration on Pinterest”. 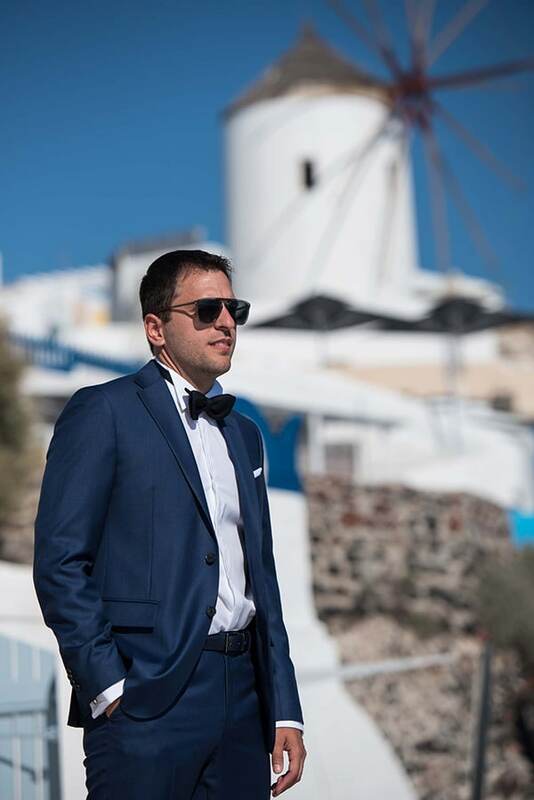 “Apart from my place of origin, Santorini is an important part of my life and not only us but also all our friends and family dreamed our wedding at that magical place. 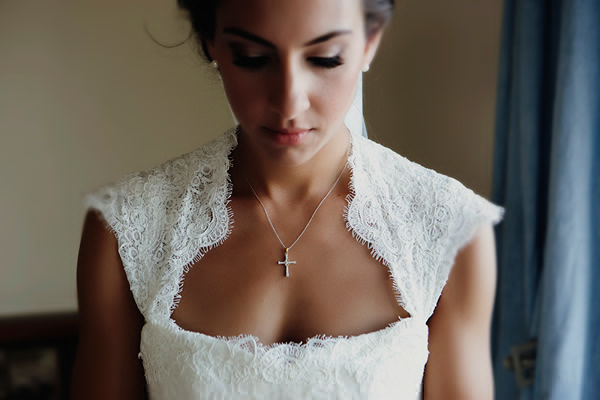 Our choices were made having in mind to keep the images of our wedding timeless beautiful”. “My bridal bouquet had white hydrangea and white and salmon roses”. “All moments were great! 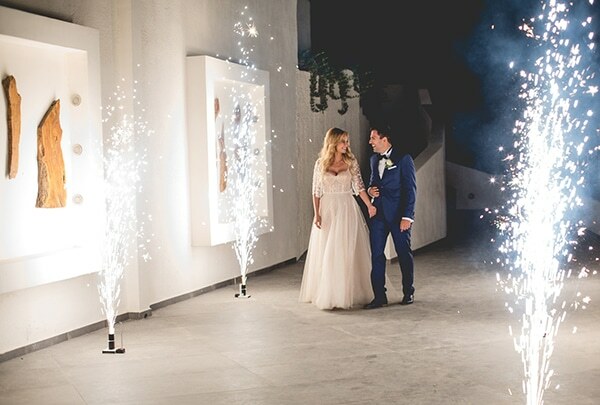 My preparation, the moment my father delivered me with pride to my husband, my husband’s expression while he was waiting for me, the emotion on the faces of our loved ones, the wild party till the morning”.